But, beginning in the '90s, a new voice arose among North American agricultural producers that suggested shooting might not be the one-size-fits-all solution. But, beginning in the ’90s, a new voice arose among North American agricultural producers that suggested shooting might not be the one-size-fits-all solution. Research began to emerge, for instance, that showed coyote populations rebounding intensely after being decimated by gunfire. 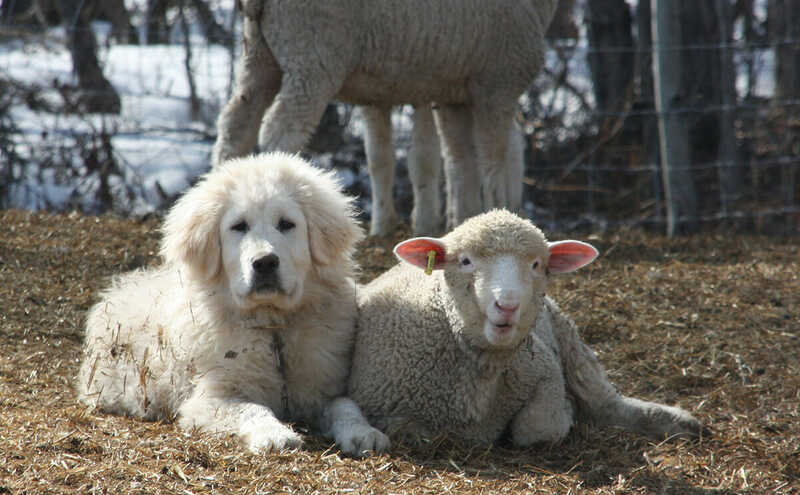 The idea of protecting livestock with something other than a rifle is not new; livestock-guarding dogs, for example, were first used nearly 6,000 years ago, most likely in the upland region of present-day Turkey, Iraq and Syria. Currently, the number of New World farms relying on non-lethal predator controls remains small – but a U.S. organization aims to amplify that voice. Early last year, the Wildlife Friendly Enterprise Network (WFEN) launched what may well be the world’s first certification program dedicated to identifying and rewarding farms and ranches that do not routinely shoot predators. Its Predator-Friendly and Wildlife-Friendly standards resulted from a 3-year partnership project with the Animal Welfare Institute’s Animal Welfare Approved (AWA) program, and Predator Friendly, a small non-profit founded in 1991 that has since become part of WFEN. To get certified, a farmer or rancher fills out an AWA application and answers additional wildlife- and predator-related questions, WFEN determines eligibility and collects a $100 application fee, and AWA sends out an auditor to conduct simultaneous confidential audits for each certification. Louise Liebenberg, who moved from The Netherlands to Alberta in 2008 to establish Grazerie sheep farm, recently got Wildlife- and Predator-Friendly certification. “AWA flew out the auditor from Minnesota,” she said. WFEN’s board determines certification by approving the audit report, and the producer gets the Predator- or Wildlife-Friendly seals to put on its products. So what are the methods WFEN promotes in lieu of picking up a rifle? WFEN suggests a number of things farmers can do to keep livestock safe and predators alive. ”¢ Adaptive grazing and feeding: Securely positioning the most vulnerable livestock or grazing different animals together, such as cows with sheep, to provide protection. ”¢ Barriers and mechanical deterrents: “Fladry”, aka ropes with flapping strips of fabric, electric fencing, and motion-sensitive alarms that use lights and noise can discourage predators. Scientists are also testing “bio-fencing”, or scent barriers, which can deter them. ”¢ Employing guard animals. Dogs are the most common, with preferred breeds including Great Pyrenees, Maremma, Anatolian, and Sarplaninac. Also, llamas and donkeys are also good sentries. A dog and a its sheep friend. 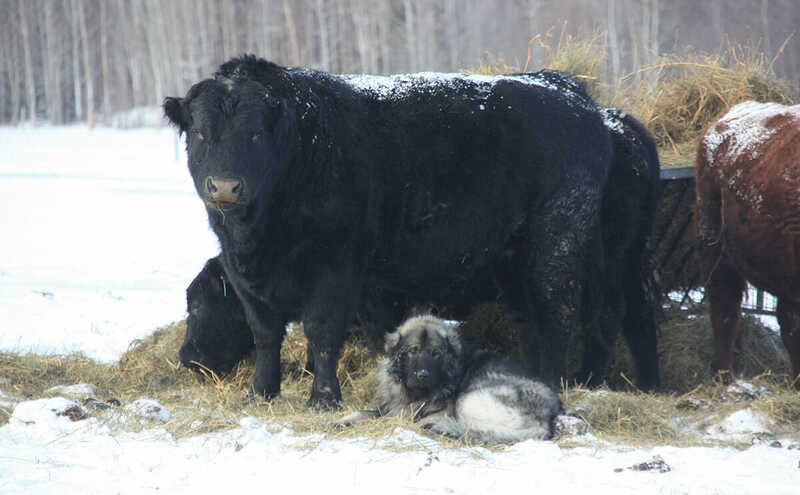 A dog sitting in the snow with its Bull friends. 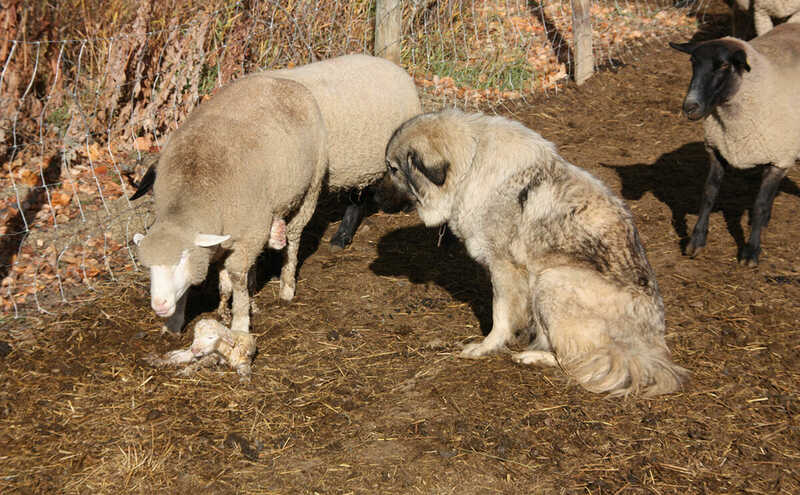 A dog watching over a newborn sheep. Before setting up any management practices, however, a farmer must learn which predators live in the area. While wolves garner a lot of the attention and claim their share of livestock every year, data from the USDA-National Agricultural Statistics Service (NASS) Montana Field Office show the master predator to be the coyote, followed by dogs, domestic and wild. “A pack of wolves can do a lot of damage, taking out 30 or 40 sheep at a go, but a coyote can steal 365 lambs a year!” says Liebenberg. “The challenges we face are not at all the same as people with lots of sheep spread out in remote areas. We do have predators here, and it’s an issue, but dealing with wolves is different than dealing with coyotes or black bear,” says Becky Weed, owner of 13 Mile Lamb and Wool in Belgrade, Montana, who was part of the earliest discussions among ranchers in the 90s about using non-lethal techniques. More unusual guarding strategies include donkeys and llamas, which both have an instinctive hatred and no fear of dogs; llamas are also aggressive toward coyotes. In 5 years, Grazerie has not lost a single dog to a wolf, though it has lost 3 lambs and an ewe to coyote predation. “But for each one, we know the circumstances, that we didn’t have enough dogs or we put the lambs in too big an area that the dogs couldn’t patrol well enough,” she said. She says Grazerie has its lambs birthed in the barn to keep them out of predator reach and runs older cows with the heifers to help the heifers learn how to protect their first calves. Adds 13 Mile’s Weed, “Non-lethal control is not just about guard dogs, but management strategies. Even on our smaller farm, we have broken it up into smaller pastures, which are easier for the dog to keep track of. Human presence also makes a difference.” Indeed, she said, many of the biggest ranches use dogs with human shepherds. More unusual guarding strategies include donkeys and llamas, which both have an instinctive hatred and no fear of dogs; llamas are also aggressive toward coyotes. 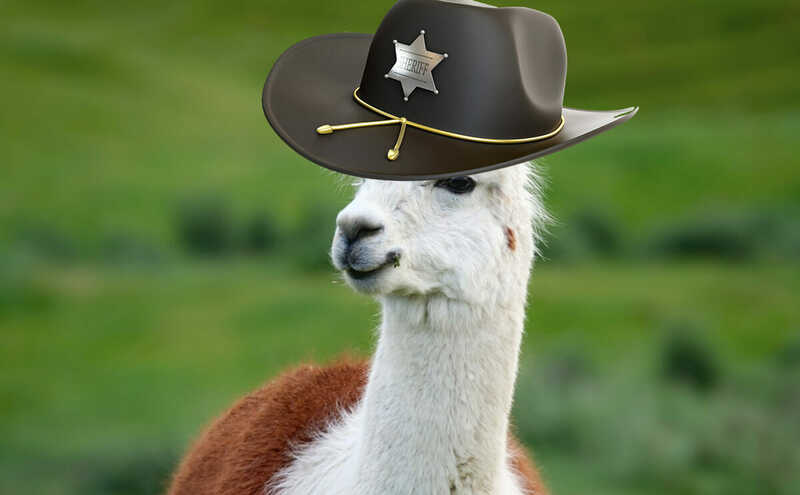 After spotting an intruder, most llamas call an alarm, then walk or run toward the animal, chasing it, kicking and pawing, and at times killing it. Both of these animals can be effective against dogs and coyotes up to a point, although wolves might easily overwhelm them. 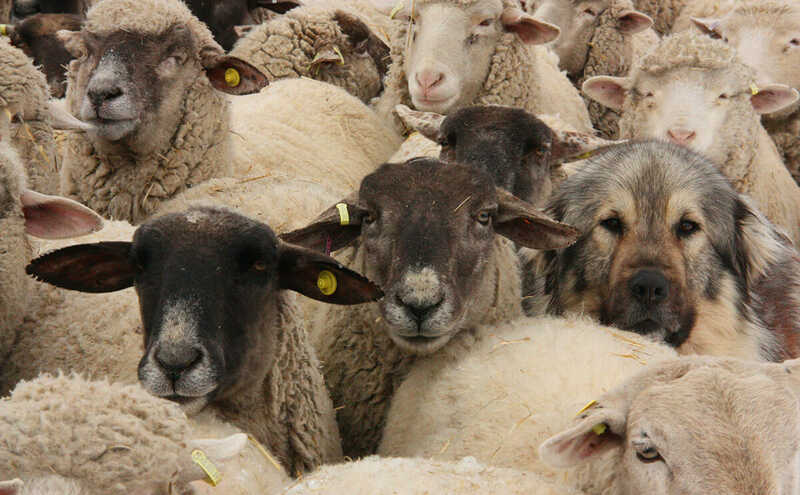 Some farms mitigate that danger by using them with dogs.